Librettists are fundamental to the creation of opera, yet the role is often unsung and can be under acknowledged. It doesn't help that the craft of writing a successful libretto can seem something of a black art, in fact agreeing on what constitutes a successful libretto is difficult enough. On 29 April 2013 a group of writers, composers, opera creators and producers gathered together at the Barbican's Pit for a one day conference, organised by the Guildhall School of Music and Drama's ResearchWorks in collaboration with the Royal Opera House. During the day we heard from a variety of librettists and composers, and tried to get to grips on the creation of a good libretto and how this might be facilitated in budding librettists. Participants included Julian Philips and Edward Kemp, Lavinia Greenlaw, Orlando Gough and Stephen Plaice, Julian Anderson, Jonathan Dove and Alasdair Middleton, and Kasper Holten. At the morning session we heard from three different librettists, Edward Kemp, Lavinia Greenlaw and Stephen Plaice, about how they worked and what their relationship with the composer was like. Though their writing techniques varied, there seemed general agreement that writing a libretto was a difficult craft and that the only way to learn was to keep on writing. Tenor Bryan Hymel has crowned a terrific year by winning an Olivier Award for Outstanding Achievement in Opera, recognising his performances in Les Troyens, Robert le Diable, and Rusalka. And at the Ferrier Awards last week, first prize was awarded to baritone, Gareth Brynmor Jones. He studies at the Royal Academy of Music and was the winner of the Royal Academy of Music Patrons' Award and a Worshipful Company of Musicians' Silver Medal. Second prize went to soprano Louise Alder (see my review of her recent recital) who is studying at the Royal College of Music International Opera School and is the inaugural Kiri Te Kanawa scholar there. The song prize went to baritone Johnny Herford. St. John’s Smith Square was the site of Elizabeth Connell’s final London concert in 2010, intended as a farewell to London on her moving to Australia. It was rendered ultimately final by her unexpected death in 2012. Connell was South African born, based on London for much of her career and with strong ties to Australia, so that the friends and pupils who came together at St John’s Smith Square on 27 April 2013 to celebrate her memory were many and varied. Proceedings opened with Aivale Cole, one of Connell’s pupils, singing an unaccompanied traditional Samoan piece Lota Nu’a, a powerful and affecting way to start. Verdi's Alzira is hardly one of his better known operas, yet it was his eighth opera, coming between Giovanna d'Arco and Attila. It was premiered in Naples in 1845, but received only a handful of performances, the first performance at La Scala in 1846 was very poorly received and the works seem to have disappeared from the opera stage.. Later in life Verdi was dismissive of it. Now Chelsea Opera Group are giving us the chance to hear for ourselves. 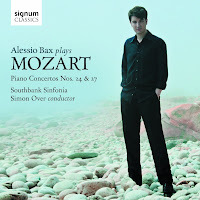 Conducted by Gianluca Marciano they perform Verdi's Alzira on Sunday 2 June 2013 at the Queen Elizabeth Hall on London's South Bank with Majella Cullagh in the title role and Mario Sofoniou as Zamora. 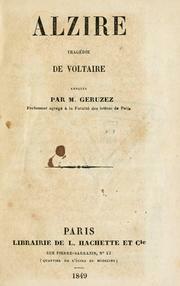 The is based on Voltaire's play of the same name. It is set in Peru in the 16th century and involves Peruvian tribesmen. Beethoven regarded him as one of the greatest composers and his opera Lodoiska inspired Fidelio, but Luigi Cherubini (1760 - 1842) has had something of a bad press from history. He is best known perhaps for Berlioz's comments in his Memoires. There Berlioz described Cherubini's livid rages and the way his Italian accent was made even funnier by fury. Berlioz seems to have gone out of his way to bait the older composer and for all Berlioz's humour, Cherubini comes out as a dry old pedant. This is unfortunate because Berlioz had great admiration for Cherubini's music. One aspect that needs to be borne in mind is Cherubini's age. On the restoration of Louis XVIII, Cherubini was installed as director of the re-established Conservatoire in 1822. By then he was over 60 and would be director of the Conservatoire until he was over 80. It is Cherubini's music from the 1790's which deserves our attention, dramatic, young man's music. Co-Opera Co, the inestimable training opera company, have come up with a fun fundraising idea. To raise funds for their 2013/14 season which includes performances at Hackney Empire in September 2013, they have launched OperaLottery, a lottery where you have the chance to win prizes from £50 to £10,000. Tickets cost between £1 and £10, initially there will be five draws between May 4th and January 1st 2014 with prizes from £50 to £10,000. 50% of the money raised will go towards much needed funds to put on the season at The Hackney Empire in September and 50% will be given as prize money. You can buy a ticket or two at the Co-Opera Co website. Go one, have a flutter, you might surprise yourself and you'll be supporting a very worthwhile cause. 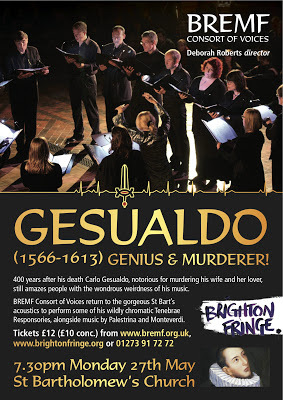 This autumn's Brighton Early Music Festival (BREMF) will include a newly commissioned music drama on Carlo Gesualdo (1566 - 1613), the renaissance Prince famous both for the amazing chromaticism and harmonic instability of his music, and for the fact that he murdered his wife and her lover. 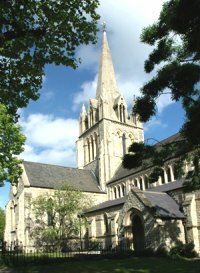 BREMF's new drama will premiere in 3 November, but if you can't wait that long then the BREMF Consort of Voices will be performing Gesualdo's Tenebrae Responsories along with works by Palestrina and Monteverdi on May 27 at St Bartholomew's Church, Brighton as part of the Brighton Festival Fringe. Further information from the BREMF website. Polish/Brazilian pianist Felicja Blumental (1908 - 1991) is perhaps best remembered for her Chopin interpretations, her recordings of the Mazurkas are particularly notable. Born in Poland, she first performed in public at the age of ten, and studied at the Warsaw Conservatory even though two years under the minimum age. She and her husband, Markus Mizne, emigrated to Brazil in 1938 to escape anti-semitism. Always adventurous in her programming, Blumental championed the music of her adopted country. 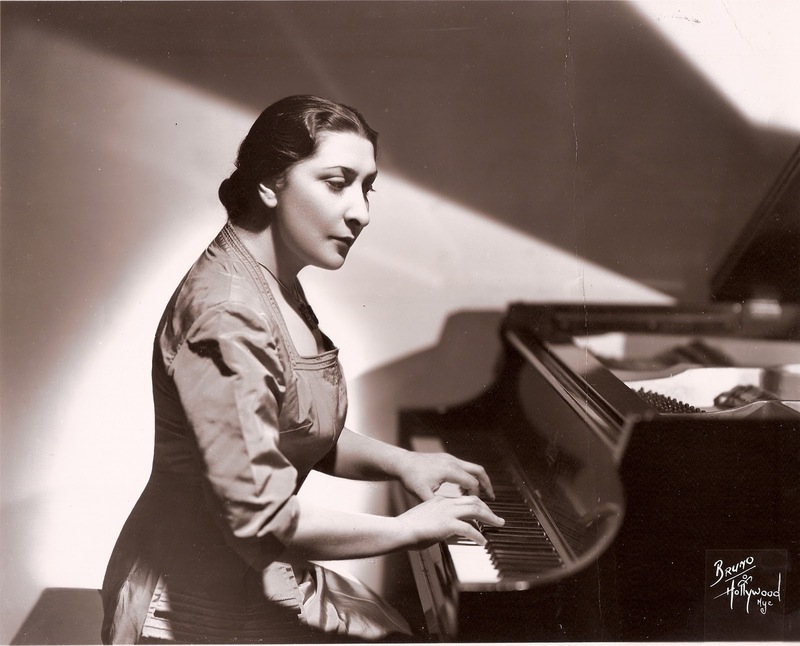 Villa Lobos dedicated his Fifth Piano Concerto to her, Lutoslawski orchestrated his Variations on a theme of Paganini for her, and Penderecki dedicated his Partita for Harpsichord and Orchestra. Blumenthal died whilst visiting Israel in 1991 and in 1999, TelAviv Museum of Art named its International Music Festival after her. Also keeping Blumental's memory alive is Brana Reords which is dedicated to restoring Blumenthal's recordings to the catalogue. 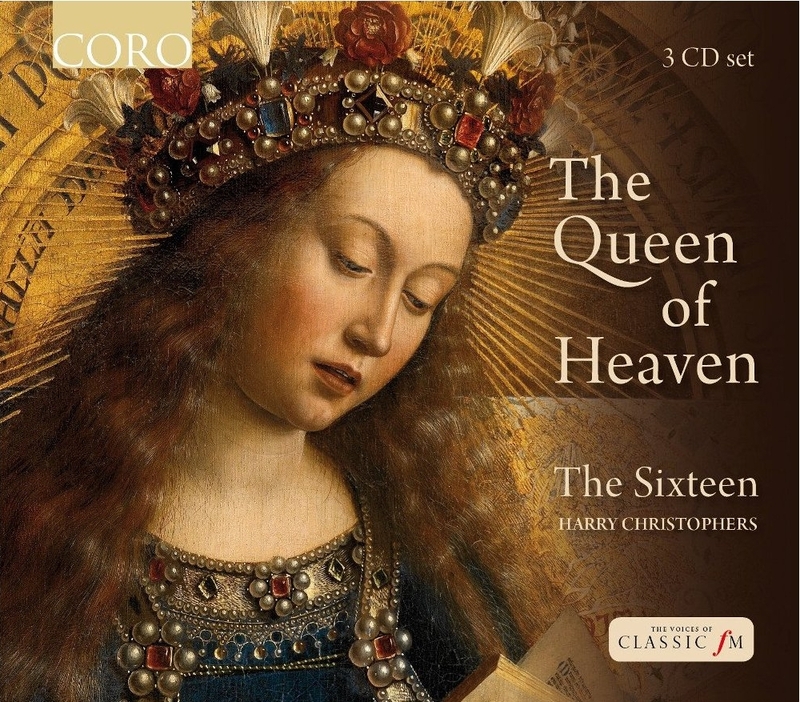 The Sixteen's Choral Pilgrimage this year is entitled Queen of Heaven (see my review) and the programme is centred on movements from Palestrina's Missa Regina Coeli, with Allegri's Miserere and James MacMillan's setting of the same text, which was premiered by The Sixteen, conductor Harry Christophers, in 2009. This CD boxed contains all the music from the tour, with extra, giving the listener the opportunity to explore further. 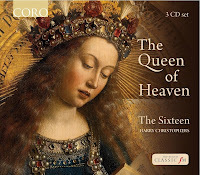 The set includes the group's latest recording, Volume 3 of their Palestrina edition including the complete Missa Regina Coeli, plus their 2011 disc of James MacMillan's music which includes the Miserere, some of his Strathclyde Motets and Tenebrae Responses, and their disc of Allegri's Miserere with Palestrina's Missa Pape Marcelli which was originally issued on the Collins Classics label and re-issued on Coro in 2003. The set is a wonderful way to re-visit music heard on the tour, but also to discover new delights. The Edinburgh International Festival has announced its new director, and Scottish Opera has announced its new conductor. Fergus Linehan will become the festival director and chief executive of the Edinburgh International Festival from 2014. He is currently director of Warehouse Arts and was previously head of music at Sydney Opera House, he has also led the Sydney Festival and the Dublin Festival in his native Ireland. He will be planning his first festival for 2015. He replaces Jonathan Mills who has been in place since 2006. Mills, a surprising choice for director, has presided over a a successful expansion of the festival and has delivered as series of themed programmes. It will be interesting to see what direction Linehan takes, though some commentators have seen his appointment as indicating a move away from music at the festival. And over at Scottish Opera, it has been announced that Emmanuel Joel-Hornak will take over as musical director in August, replacing Francesco Corti. 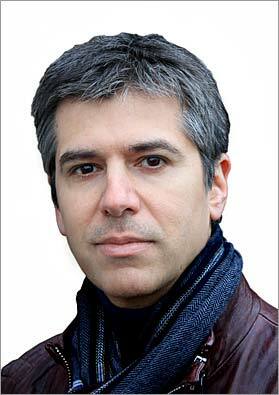 Joekl-Hornak has worked with Scottish Opera, conducting Hansel and Gretel (2012) and La Traviata (2008-9). His first performances with the company, as musical director, will be announced in May. Trained at the Paris Conservatoire, Joel-Hornak has an extensive performing CV but does not appear to have led an opera company before. Joel-Hornak was described by the Scotsman as drawing 'flavoursome' playing from the Scottish Opera orchestra in La Traviata and Opera Britannia refers to him producing 'one sublime moment after another' in Hansel and Gretel. He replaces Francesco Corti, whose performances with Scottish Opera have not always been popular in critical circles. 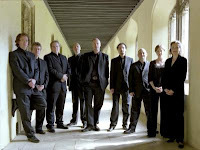 Vocal ensemble Alamire, under their conductor David Skinner, came to the Cadogan Hall on Wednesday 24 April 2013 to perform their programme The Tudor Dynasty: For every syllable a note as part of Choral at Cadogan. The programme explored the changes to English choral music wrought by the reformation, particularly with the attitude to text. Skinner and his singers started with the the Eton Choir book, music by Walter Lambe and by John Sheppard which was totally melismatic, which contrasted with John Taverner's ground breaking sensitivity to the text. The reformation produced music in English, with Thomas Tallis exploring total comprehensibility. This feeling for text was reflected back in the Latin music which Tallis and Byrd started writing after Edward VI's death and the programme concluded with a group of motets from Tallis and Byrd's 1575 publication Cantiones Sacrae. 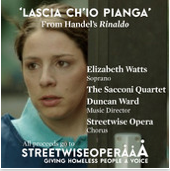 Soprano Elizabeth Watts, who is a patron of Streetwise Opera, has released a digital single of the aria Lascia chi'io pianga from Handel's Rinaldo in support of Streetwise Opera. On the recording she is accompanied by the Sacconi Quartet and Streetwise Performers from Nottingham and Manchester in the chorus, with musical director Duncan Ward. Streetwise Opera were nominated in the Accessibility category in the recent Opera Awards. The recording of the Handel aria comes from Streetwise Opera's latest event, The Answer to Everything, which premiered at the BFI Southbank this week. This mixes film and live opera: film director Rupert Jones, opera director Emma Bernard and film producer Jess Gormley have brought together Streetwise’s homeless and ex-homeless performers with professionals including Elizabeth Watts to create a film opera, which includes pieces by Britten, Handel and Vivaldi, and new commissions by Gavin Bryars, Orlando Gough, Emily Hall, Anna Meredith and Duncan Ward. This production celebrates 10 years of Streetwise's work producing ground-breaking opera productions working with the homeless. Elizabeth Watt's Handel recording is available from the iTunes website at a cost of 79p, all proceeds go towards Streetwise Opera's workshops programme. What better way to celebrate St. George's Day (23 April), than in the company of Shakespeare and William Walton in the historic Temple Church. Temple Music Society put on a performance of William Walton's complete score from the Lawrence Olivier film of Henry V interleaved with speeches from the Shakespeare play to form a satisfying whole, allowing us to both hear the music in context and to experience the way that Walton's score interacts and supports the text. Walton's music was played by the Aurora Orchestra which was joined by the boy choristers from the choir of Temple Church, conducted by James Vivian who is music director of the Temple Church. The role of the narrator was taken by the actor John Hopkins and the whole directed by Kenneth Richardson. Amazingly, despite being nominated for an Academy Award in 1946, William Walton's score for Lawrence Olivier's 1943 film of Shakespeare's Henry V had to be painstakingly reconstructed by Christopher Palmer. It seems astonishing that the original performing material would be disposed of, given the iconic status of the film. It was not only a striking filmic adaptation of the play, complete with Olivier's notable performance, but a piece of remarkable wartime propaganda. Proms Preview: Anniversaries are usually a time for rediscovery and reflection, but with this year's centenarians (Wagner, Verdi and Britten), there is perhaps less to discover. At this year's Proms each is getting rather different treatment. We get nearly all of the major Wagner canon (Der Ring, Tristan und Isolde, Parsifal and Tannhauser). At one point in the season this approaches wall to wall Wagner, non-believers should keep away. And, of course, you can always listen at home rather than suffer six hours confined to a seat in the Albert Hall. And the balance might be better on the raidio as conductors struggle with Wagner's huge orchestras let out of the pit. Verdi gets only a token presence with the Four Sacred Pieces and selected arias with Joseph Calleja, rather than the chance to re-discover one of the lesser known operas. With Britten we are treated to Glyndebourne's semi-staged version of Billy Budd plus an extensive voyage round the composer's non-operatic works with some intriguing items. But there is another centenarian, Witold Lutoslawksi, and here we do get to do some re-discovery with a handful of his major orchestra works including the cello concerto and the piano concerto plus some smaller ones. Also there is other Polish themed music, with works by Panufnik (whose centenary is next year) and Szymanowski. Two figures get the centenary treatment out of turn, Granville Bantock and Michael Tippett. And I can't complain about either. I look forward to hearing the group of Bantock orchestral works at the Proms and hope it triggers an interest in doing more. And the prospect of Tippett's A Midsummer Marriage is a complete delight. I attended the Opera Awards last night (22 April 2013), to cover them for OperaToday.com. The first ever awards event which puts opera firmly in the spotlight. At one point in the evening I spoke to Sarah Connolly, who was one of the nominees in the Female Singer category, and she talked about having been in the same location (the ballroom at the Hilton Hotel on Park Lane) attending the Olivier Awards, but for those opera was just one category amongst many. At the Opera Awards it was all about opera. The operatic luminaries present were pretty impressive, including Janet Baker, Joyce DiDonato, Sarah Connolly, Jonas Kaufmann, Antony McDonald, Antonio Pappano, Pierre Audi and many more. 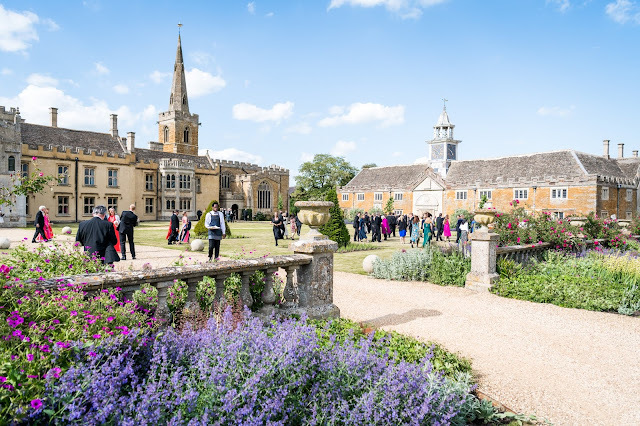 The event had two intentions, to recognise achievement across the board in opera and to raise money for a new foundation to support young singers and performers. And I got to interview Joyce DiDonato. The Romanian cellist Ovidiu Marinescu recorded the Bach Cello Suites for Navona Records in 2011 to critical acclaim. 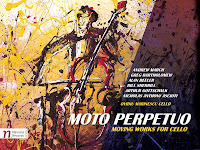 On this disc he performs a variety of works for solo cello, either alone or in chamber groups, by six contemporary composers, five American and one British, with a range of ages and styles; Andrew March, Greg Bartholomew, Alan Beeler, Bill Sherrill, Arthur Gottschalk and Nicholas Anthony Ascioti. 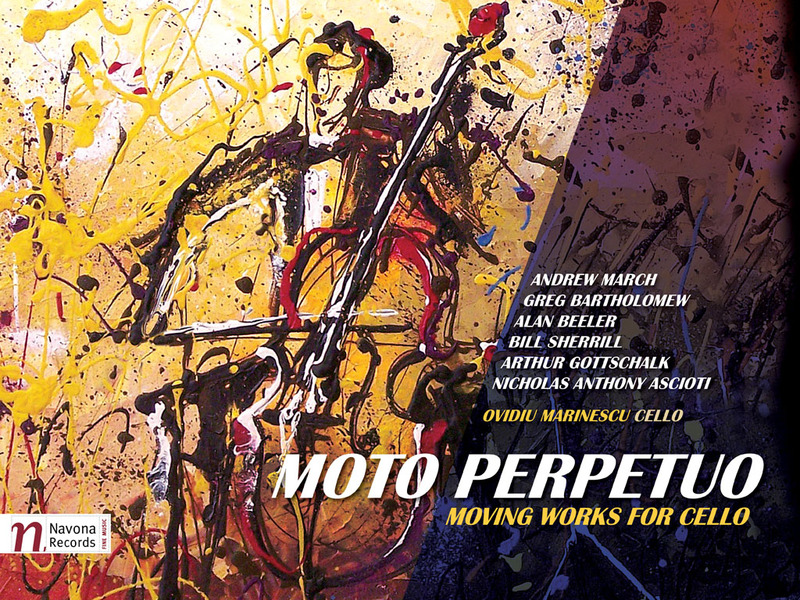 All are united in their lyrically expressive view of the cello and the possibilities it offers, all write in essentially tonal style but bring a variety of attitudes and interests, including non-standard scales and at least one tone-row. Andrew March's Three pieces for Solo Cello was written in direct response to hearing Marinescu playing the Bach Cello Suites. Andrew March (born 1973) was born in the UK and studied at the Royal College of Music in London. The first movement, The Night is for Stillness, takes its title from the New Zealand Prayer Book. As you might expect from the title, it is a slow, melancholy piece with a long singing line interrupted by moments of drama. The melodic material and the writing for the cello rather reminded me of the Walton Cello Concerto. The second movement is a Moto perpetuo, short but taxing with the forward movement interrupted by pauses. The third, To Reflect in a Quiet Spot, is the longest. It takes its title from a line in a medieval Latin text, Confessio by the Archpoet, and includes the idea of the composer sitting quietly in a secluded waiting for musical ideas. A slow haunting piece similar in tone to the first movement, again we have a fine singing line, with lovely expressive playing from Marinescu. He plays all three movements with rich and deeply vibrant tones, singing the lovely lines which March gives him. The Barbican Centre's May brochure starts David Daniels seducing Catherine Bott, luckily the subject of the article is Handel's Imeneo rather than anything spicier. Daniels stars in a concert performance of the opera (recently seen staged at the London Handel Festival), Handel's penultimate, with Christopher Hogwood conducting the Academy of Ancient Music with a cast which includes Rebecca Bottone and Lucy Crowe(29 May). Other events are equally enticing, with a Nico Muhly weekend, Tippett's First Symphony, a Jonathan Lloyd premiere, Valery Gergiev celebrating his 60th birthday, Ian Bostrige and the Britten Sinfonia going to sleep and a rare outing for York Bowen's Viola Concerto. Not to mention the Guildhall Gold Medal. Its that time of year again, when the Proms prospectus arrives and we wade through it picking out the delights and noting things that have been missed. 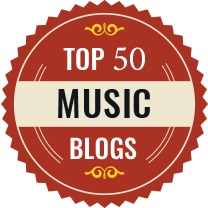 As might be expected there is a fine collection of contemporary music. There are 17 world premieres, eight UK premieres, a European premiere and a clutch of London premieres. There are 17 BBC commissions and co-commissions. The composers range from Sean Shepherd (born 1979), Tansy Davies (born 1973) and Thomas Ades (born 1971) to Anthony Payne (born 1939) and Helmut Lachenmann (born 1935), John McCabe (born 1939), Sofia Gubaidulina (born 1931), Philip Glass (born 1931) and Harrison Birtwistle (born 1934). There are even premieres of works by Benjamin Britten and Prieulx Rainer. Performers range widely, including the National Youth Orchestras of Great Britain and the USA, the Bamberg Symphony Orchestra, the Philharmonia Orchestra, the London Symphony Orchestra and Ex Cathedra, but of course the BBC orchestra, the BBC Symphony Orchestra, the BBC Philharmonic Orchestra, the BBC Scottish Symphony Orchestra and the BBC National Orchestra of Wales, not to mention the BBC Singers, feature heavily. The Proms opens and closes with new work. Julian Anderson's Harmony, a BBC commission, is premiered at the first night of the Proms performed by BBC Symphony Chorus and BBC Symphony Orchestra, conducted by Sakari Oramo (12 July). It sets a text by Richard Jefferies about time and eternity. Anna Clyna is London born but has spent most of her adult life in the USA, where she is composer in residence with the Chicago Symphony Orchestra. Her short piece Masquerade opens the Last Night of the Proms, with the BBC Symphony Orchestra conducted by Marin Alsop (7 Sep). 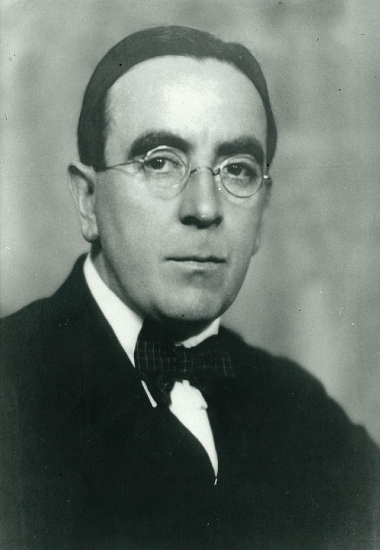 Delius and Ireland: A Celebration is a five-day festival being run by Birmingham Conservatoire celebrating the music of Frederick Delius and John Ireland. Running from 17 to 21 June 2013, the festival will be one of the biggest that the conservatoire has hosted with over 60 people involved from the senior and junior conservatoire, students and faculty as well as orchestras, choirs and guest artists. The festival intends to give an ambitious overview of two of the 20th centuries major composer pianists. In addition to following on from the Delius and Ireland anniversaries in 2012, the festival will acknowledge the 25th anniversary of the death of Birmingham pianist and teacher, Denis Matthews, and the 60th anniversary of the death of Arnold Bax, as well as finishing with the premiere of a work by Benjamin Britten. The London English Song Festival encompasses song in all its variety, with choral concert at the chapel of the Royal Hospital in Chelsea which celebrates the English part-song and madrigal, plus three song recitals at the Forge in Camden given by a whole selection of young British singers (including Rupert Charlesworth, the winner of the London Handel Song Competition) accompanied by William Vann. Repertoire includes an emphasis on Britten, plus songs by Lennox Berkeley, William Alwyn and many more including some interesting rarities such as songs by Matyas Seiber. In addition there are two 'bring a song' sessions, allowing amateur singers the spotlight for once. The festival runs from 2 to 12 May with all events at the Forge, Camden apart from the opening choral concert. Donations by members of the Friends of the ENO raised £19,000 towards the March events by ENO's Opera Squad. This is ENO's learning and participation programme which takes orchestra and singers into schools to introduce young people from a wide range of backgrounds to live classical music and opera. During March 2013, over 3,600 students from 17 Primary and Secondary schools in Brent, Ealing, Kensington & Chelsea and Hammersmith & Fulham heard ENO’s orchestra perform extracts from The Magic Flute conducted by ENO’s Head of Music, Martin Fitzpatrick, with three singers from ENO’s talent development schemes, Charles Rice as Papagano, Natalie Montakhab as Papagena and Nazxan Fikret as Queen of the Night. Following the visit, trust & foundations supporters provide tickets to ENO Dress Rehearsals at the London Coliseum, giving young people and their teachers the opportunity to experience live opera at no cost. You can find further information at the ENO Opera Squad website, with learning resources for schools at http://www.operasquad.com/. There is a video of the Opera Squad in action after the break. In 1794 William and Robert Gray built a new organ for the west gallery of Holy Trinity Church, Clapham. This is the period that Holy Trinity was home to William Wilberforce, the anti-slavery campaigner and gave the name to the Clapham Sect. The sect was active from 1790 to 1830, the period when the organ was built at the church. In 1846 the organ was purchased, second hand, for the new church of St John in Notting Hill. The organ was placed, relatively unchanged, in the west gallery. But changes to worship habits, with the introduction of a robed choir in the chancel, led to the organ being moved to the Lady Chapel in 1873. This meant the loss of the 1794 case. Remarkably much of this organ survives today and its restoration is being celebrated at a concert on 11 May given by Thomas Trotter. One of the things that I have commented on in reviewing CD's over the years it the absence of Light Music, that no-one seems to write it any more. We seem to have developed a rather siloed approach, with crossover by and large replacing Light Music. Then, once in a while, comes along a CD which confounds that. 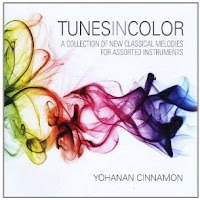 Tunes in Color is a disc of music written by Yohanen Cinnamon, a composer who lives in Jerusalem, has never received any formal training and whose day job is to teach Bible and Talmud studies. Cinnamon has gone to some financial lengths to produce this CD, investing both time and money. There are 18 tracks in total, played by musicians from major Israeli orchestras plus London Brass. 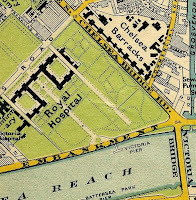 The tracks were recorded variously in Tel Aviv, Jerusalem and Blackheath Concert Halls. The music was arranged by a trio of arrangers, Israel Edelson and Yonathan Goodman for the Tel Aviv and Jerusalem recorded tracks and David Louis for the two London tracks recorded by London Brass. Following on from the success of the Courtauld Community Choir's performance at one of the Courtauld Gallery Lates during the Peter Lely exhibition (see my article) the suggestion arose to organise another event during one of the evening events for the Picasso exhibition, Becoming Picasso: Paris 1901 (which runs until the 27 May 2013). Both singers and staff seemed to be enthusiastic, but quite what the choir should sing took longer to settle. Finally we assembled at 5pm on Thursday 17 April 2013 to rehearse Poulenc's Salve Regina for performance at 7pm in the gallery that evening. Arrangements for the choir's performance had become more complex owing to the great success of the Piccasso exhibition, so that all on-line tickets for the evening event had sold out before Easter and Courtauld Gallery staff were expecting a full house for our performance. The American mezzo-soprano Kate Lindsey made her UK debut last year as Zerlina in Don Giovanni at Covent Garden. On May 18, 2013 she makes both her Glyndebourne debut and her role debut as the Composer in Katharina Thoma's new production of Richard Strauss's Ariadne auf Naxos which will be Vladimir Jurowski's last project as musical director, with Soile Isokoski as Ariadne and Laura Claycomb as Zerbinetta. 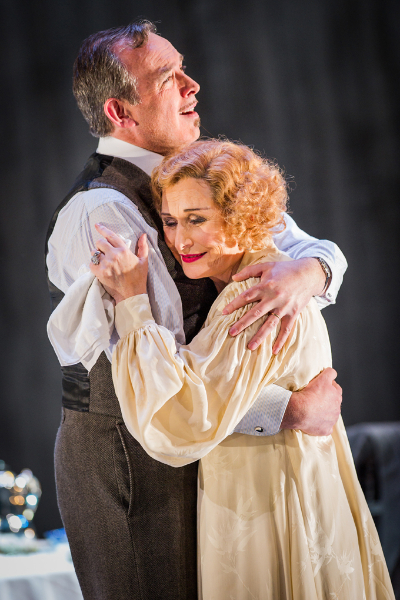 I travelled down to Glyndebourne to meet Lindsey and interview her for OperaToday.com. Modern Glyndebourne with its combination of new and old buildings, is something of a maze. Once the cab had dropped me at the stage door, I was welcomed and then taken on a circuitous route, circumnavigating some building works, through to the old building which was once the green room of the old theatre but is now the artists' area. A pleasant courtyard led to the artists' canteen, where over coffee I chatted to Lindsey. Dressed all in black, with very striking black cowboy-style boots, Lindsey is slim and attractive, with long dark hair, so it is easy to understand why she has been making something of a success of travesty roles. Niklausse in Les Contes d'Hoffmann is something of a speciality, she returns to the role next year in Munich, and she has a growing roster of Mozart travesty roles, Cherubino and Annio with Sesto (La Clemenza di Tito) to come. But she has also been performing Angelina in Rossini's La Cenerentola so clearly she does not plan to stay permanently in trousers. Tenor Rupert Charlesworth has won the 12th London Handel Singing Competition, which took place as part of the London Handel Festival. At the final on 11 April 2013 at St George's Church, Hanover Square, Charlesworth sang arias from Rodelinda, Theodora and Belshazzar. Charlesworth won both the First Prize - the Regina Etz Prize, and the Audience Price - the Michael Normington Prize. He won a performance at next year's London Handel Festival as well as a cash prize. 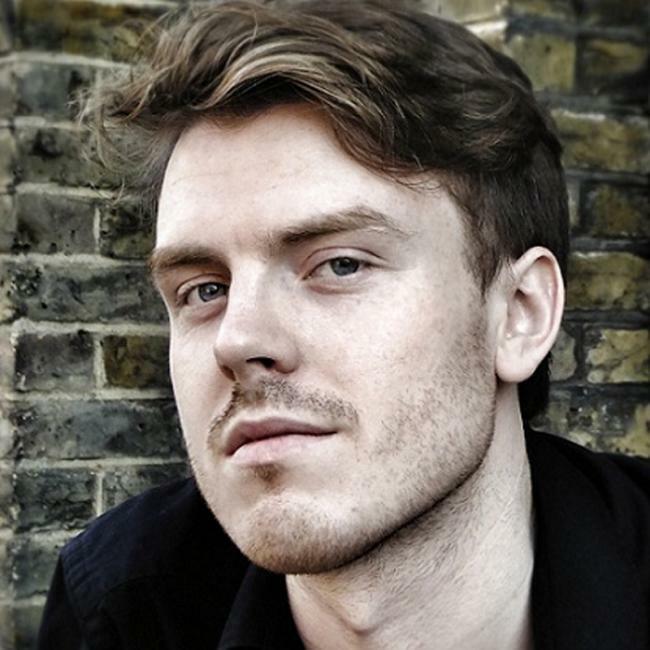 The winner of the second prize, Stephen Chambers (also a tenor), will also sing at the 2014 festival. The Adjudicators were Ian Partridge, Edward Blakeman, Catherine Denley, Michael George and Rosemary Joshua. Rupert Charlesworth is a 2011 Academy Laureate of the Festival d’Aix-en-Provence. 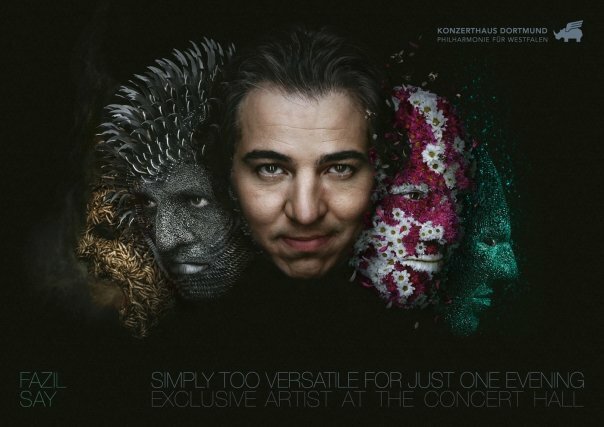 He covered the role of Angel 3/John in George Benjamin's Written on Skin at Aix en Provence and Covent Garden and will be singing the role at the 2013 Maggio Musicale Fiorentino. He sang the role of the Solider in ETO's Emperor of Atlantis in 2012. Last night (17 April) we attended a private recital by mezzo-soprano Gaelle Arquez and pianist James Baillieu, given in preparation for their Wigmore Hall concert on Sunday 21 April 2013. 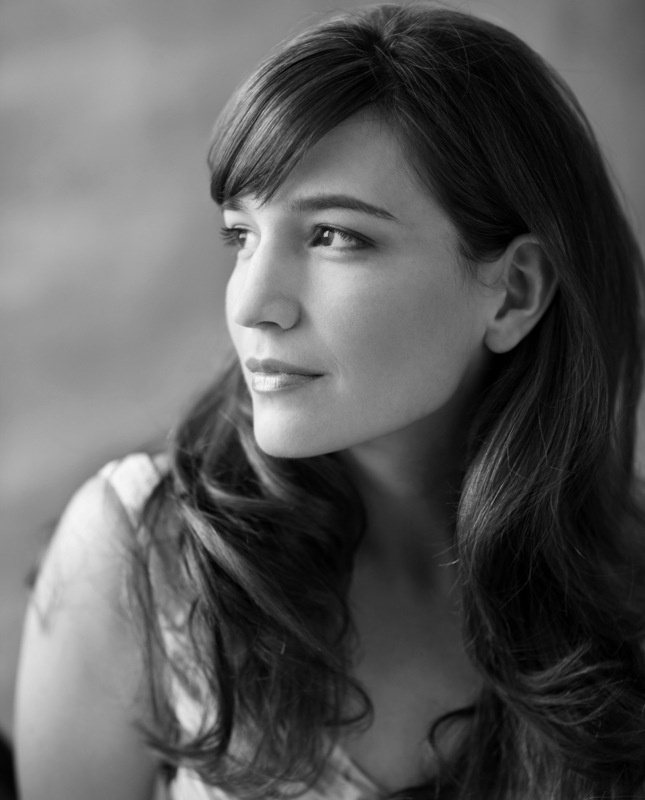 Arquez studied musicology at the Paris Conservatoire, going on to win the 2009 Gold Medal Singing Competition, and she is a recipient of the Wigmore Hall/Independent Opera Voice Fellowship. Their recital was of French and Spanish song, combining songs by Reynaldo Hahn, Francis Poulenc and Henri Duparc, with Georges Bizet and Leo Delibes in Spanish mood, plus songs by Agustin Lara, Manuel de Falla and Fernando Obradors. To the Houses of Parliament yesterday (17 April 2013) for 2013 Buxton Festival launch, which took place in the Terrace Room, with its glorious views of the Thames (thankfully at high tide). The event was hosted by Andrew Bingham, the MP for High Peak within whose constituency Buxton lies. Speakers included the Chairman of the Buxton Festival Dame Janet Smith, Andrew Bingham MP, the Secretary of State for Culture Media and Sport Maria Miller MP and Stephen Barlow, the artistic director of the festival. This year's festival includes a tempting and varied programme with operas by Mozart, Gounod, Saint-Saens, Vivaldi, Sciarrino and Messager plus extensive other programmes. Dame Janet explained that one reason for having the launch in London, in so prominent a place, was to help spread the word about the festival. The festival has over 3000 loyal friends, who come each year to show their support but this is not enough for festival finances and they hopes to attract more people. 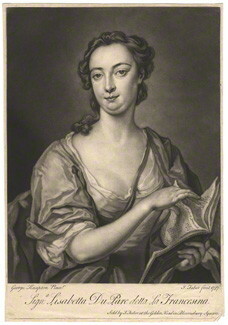 Both she and Andrew Bingham emphasised that Buxton was not that far away from London. In fact one innovation, which was introduced last year and continues this year, was the presentation of the main operas at matinees to make it easier for people who might wish to travel. George Frideric Handel's oratorio L'Allegro, il Penseroso ed il Moderato was always intended to be a crowd pleaser, a role that it still occupies today. 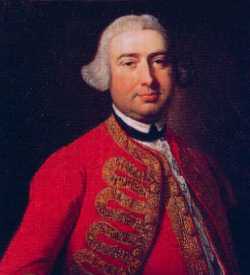 In late 1739 Handel informed Charles Jennens that he would not yet set the libretto that Jennens had sent him (it would eventually become Messiah). 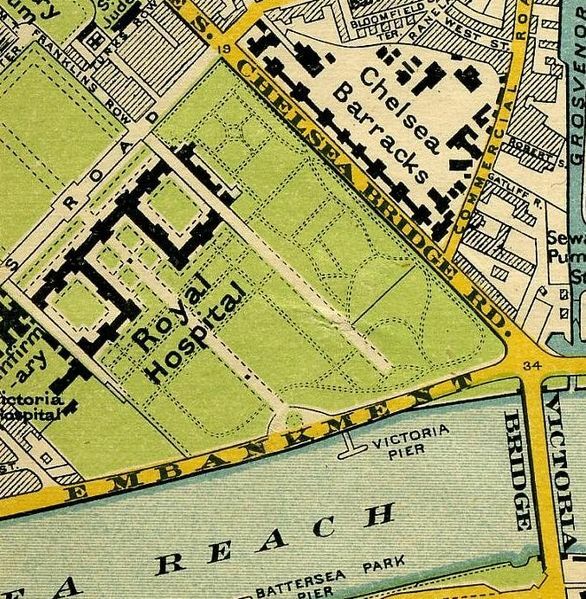 Instead for his 1740 season he planned to 'please the Town with something of a gayer Turn'. Instead of being miffed at having his own suggestion turned down, Jennens went into overdrive to organise something suitable for Handel to set. By suitable, Jennens and a number of Handel's other English friends would have meant something by one of the major English writers. Like Milton for instance. Handel's English friends were keen for him to apply his genius not just to the Bible, but to English writers equal to his genius. He had set Dryden but Dryden was not a poet of the first water. Milton had come back into favour, a monument to him had been raised in Westminster Abbey in 1737. But suggestions that Handel might use Paradise Lost seem to have fallen on deaf ears (Handel was offered at least two libretto's based on Milton's work). Charles Jennens' friend James Harris had an idea for a scheme based on Milton's poems L'Allegro and Il Penseroso, interleaving the two so as to provide the sort of vivid contrasts which appealed to Handel. This worked, and Handel's new oratorio was set in motion. The text, however, was too short and after looking through his edition of Milton, Handel lighted upon At a solemn musick (nowadays known to us for Hubert Parry's musical setting). But this would not do, the sacred nature of the ode contrasting oddly with the secular nature of the first two parts of the oratorio. Jennens commented in a letter to Harris that 'It has no sort of connection with the other', so Jennens wrote a third part Il Moderato (The Moderate Man) as conclusion. This was how L'Allegro, il Penseroso ed il Moderato was premiered by Handel in 1740 (with soloists including Elisabeth Duparc 'La Francesina' and John Beard). But soon afterwards Hand made changes, introducing Italian singers and Italian texts. He seems to have lost confidence in Il Moderato replacing it by his 1739 St Cecilia Ode. For the London Handel Festival performance at St George's Church, Hanover Square, London on Tuesday 16 April 2013 (the final event of the 2013 festival), Lawrence Cummings conducted the London Handel Singers and Orchestra with soloists Rosemary Joshua, Anna Dennis, Stuart Jackson and George Humphreys. Cummings had reconstructed the form of the work from its premiere performances, so that we had the first two movements of Handel's Concerto Grosso Opus 6 no. 1 as the overture to part one, the first two movements of Concerto Grosso Opus 6 no. 3 as the overture to part two, and Organ Concerto Opus 7 no. 1 between parts two and three. This latter was played by Cummings on the new organ at St. George's. The result was surprisingly satisfying without the patchwork effect that you might have expected. I wrote last year about Turkish composer Fazil Say's trial in Turkey. He has now been convicted of blasphemy and given a ten month suspended prison sentence for inciting hatred over a series of comments made on Twitter. He was tried for denigrating Islam, in a series of tweets he quoted the verse of Omar Khayyam attacking pious hypocrisy. The suspended sentence means that if he commits the same offence again in the next five years, he will go to prison. A recent Amnesty International report called the lack of freedom of speech in Turkey one of the country's 'most entrenched human rights problems'. Say's supporters have been re-tweeting the verses. 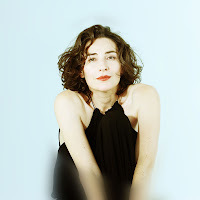 The young Turkish pianist, AyseDeniz Gokcin, will be playing some of Fazil Say's music at a concert on 25 April at St James's Piccadilly, London, where she is appearing with the Talent Unlimited Chamber Ensemble. One of the items left over from the staging of my opera When a Man Knows in 2011 was the suit, worn by the baritone Dario Dugandzic who sang the lead male role. The character was supposed to be a successful businessman, so we acquired a stylish suit for him. Too small for either me or my partner to wear, since then the suit has been sitting in our house awaiting a new role. Now it has found a new starring role as we've donated it to the Suit for Success campaign, which re-cycles suits to provide interview wear for young people who are disadvantaged as a result of homelessness or lack of employment. By one of those curious workings of fate Lodoiska, a French opera by an Italian composer, is best known today for the influence it had on a German composer, Beethoven. Luigi Cherubini's Lodoiska was premiered in Paris in 1791. It proved popular and was premiered in other cities, with performances in Berlin in 1797 and Vienna in 1802. Such was its success in Vienna, that three other operas by Cherubini were performed. We know that Beethoven had scores of other operas by Cherubini, and it is clear that the composer must have seen Lodoiska, such is the influence of both plot and style on Beethoven's opera Fidelio. 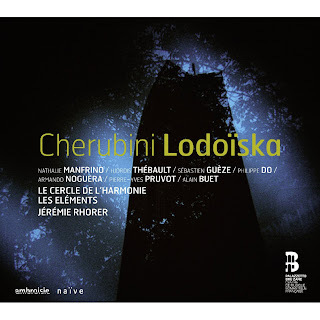 Despite its influence, Lodoiska has not featured much in the record catalogues, Cherubini's preference for using spoken dialogue perhaps putting performers off. This new recording, (naive ambroisie AM 209) the first on period instruments, is complete (with a small amount of spoken dialogue) recorded live in 2010 by the French ensemble, Le Cercle de l'Harmonie with Les Elements and a cast consisting of Nathalie Manfrino, Hjordis Thebault, Sebastian Gueze, Philippe Do, Armando Noguera, Pierre-Yves Pruvot and Alain Buet, conducted by Jeremie Rhorer. 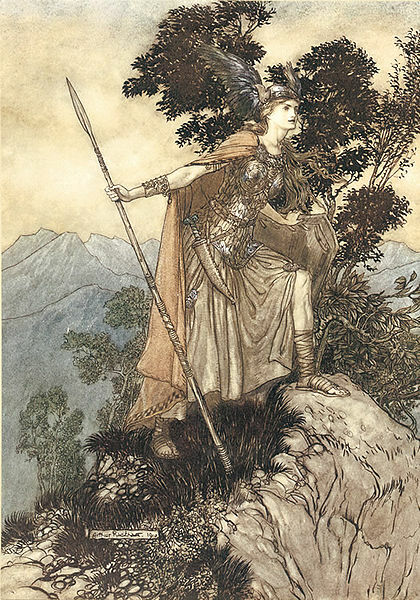 The inaugural Oxford Early Music Festival runs from 4 to 6 May 2013 (ironically the same weekend the Cambridge Handel Festival are performing Handel's Atalanta, so choices must be made!). The concerts are concentrated into a single weekend, but the organisers hope that the festival will grow. This festival seems to concentrate on young and exciting groups including the International Baroque Players, Oxford Baroque and Stile Antico. The opening concert is Bach's Mass in B minor in the University Church, played by the wonderful International Baroque Players with Ensemble 45, an ensemble made up of young professionals and top choral scholars, conducted by Daniel Hyde. The fine group of soloists mixes youth and experience with Catherine Bott, James Bowman, Nicholas Mulroy and James Birchall . On Sunday afternoon there is more Bach, this time music for unaccompanied violin and viola da gamba with Bojan Cicic and Susanne Heinrich, then the evening sees Stile Antico, back from their US tour, in a programme of Renaissance polyphony, plus a piece written for the group by John McCabe in 2009. The final pair of events on Monday had Oxford Baroque giving an open rehearsal followed by a concert of music arising outer of Luther's Reformation, with music by Schutz, Schein and Bach. Oxford has some great venues for early music and the festival is sing a variety of them. The deserve every support and have put together an interesting programme for what I hope is the first of many festivals. Further information from the Oxford Early Music Festival website. Welsh National Opera's 2013-14 is the first season to feel the real benefit David Pountney's themed groupings of performances, with the company's year divided into the Tudors, Fallen Women and Faith. The Tudors encompassing Donizetti's Anna Bolena, Maria Stuarda and Roberto Devereux, Fallen Women being Manon Lescaut, La Traviata and Henze's Boulevard Solitude, and Faith pairing Schoenberg's Moses und Aron with Verdi's Nabucco. I usually moan about UK companies performing Maria Stuarda rather than one of Donizetti's other serious operas, but in the context of two of his other Tudor operas it makes sense. The three productions will use the same set, with two being directed by Alessandro Talevi and the designs for all three being by his regular collaborators designer Madeleine Boyd and lighting designer by Matt Haskins. Rudolf Frey directs Maria Stuarda. Casting includes two Queen Elizabeths, English soprano Judith Howarth in Maria Stuarda and French-Canadian soprano Alexandra Deshorties in Roberto Devereux. 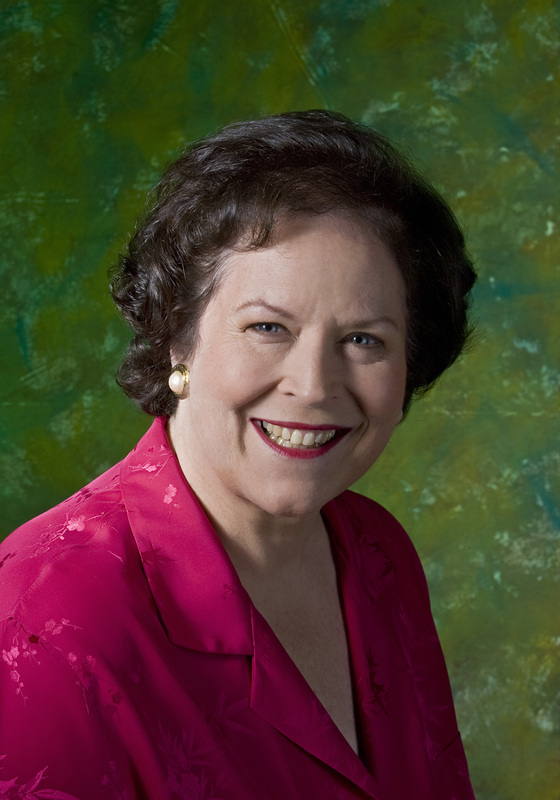 Serena Farnocchia and Linda Richardson share the title role in Anna Bolena. (Farnocchia sang the role at last year's Maggio Musicale Fiorentino conducted by Roberto Abbado). Alistair Miles is Henry VIII (and Talbot in Maria Stuarda). 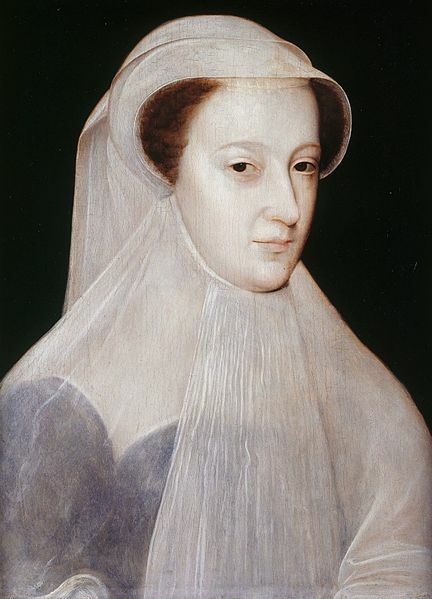 Christine Rice is Maria Stuarda. Other cast includes Bruce Sledge (whom we saw in Santa Fe in Rossini's Maometto Secondo) as Leicester, the Italian American tenor Leonardo Capalbo as Roberto Devereux (he returns as Alfredo Germont later in the season), and Leah-Marian Jones as Sara. Russian pianist Rustem Hayroudinoff (strictly he's a Tatar by nationality, he was born in Kazan) was probably the first student to come straight out of Soviet Russia and into the Royal Academy of Music and has now become one of the youngest Professors of Piano at the RAM. His solo recital at St John's Smith Square on Saturday 13 April 2013 was a highly ambitious affair, with a programme starting with J.S. Bach's Partita no. 2 and C.P.E. Bach's Sonata in F sharp minor and finishing with Rachmaninov's mammoth Piano Sonata No. 1 Opus 28. In between we had Liszt's Sonnetto 123 del Petrarca (Petrarch's Sonnet 123) and Liszt's Mephisto Waltz No 1. Bach's own description of his keyboard partitas is surprisingly depreciating, referring to them on the title page as 'Keyboard Exercises', though they are of course more substantial than this. Bach sticks to the traditional use of dance movements in the suites, Partita no. 2 consists of a substantial Sinfonia followed by an Allemand, Courante, Sarabane, Rondo and Capriccio. As with most of Bach's dance-based forms, you could not imagine dancing to the music, the movements are instead striking explorations of the polyphonic keyboard art. If we compare Bach to his great contemporary Handel, both renowned keyboard virtuosos, both were quite free with their keyboard suites. Bach stuck to the traditional sequences of dance music, but stretched to the forms to suite his purposes, whilst Handel didn't use the traditional dance sequences at all. 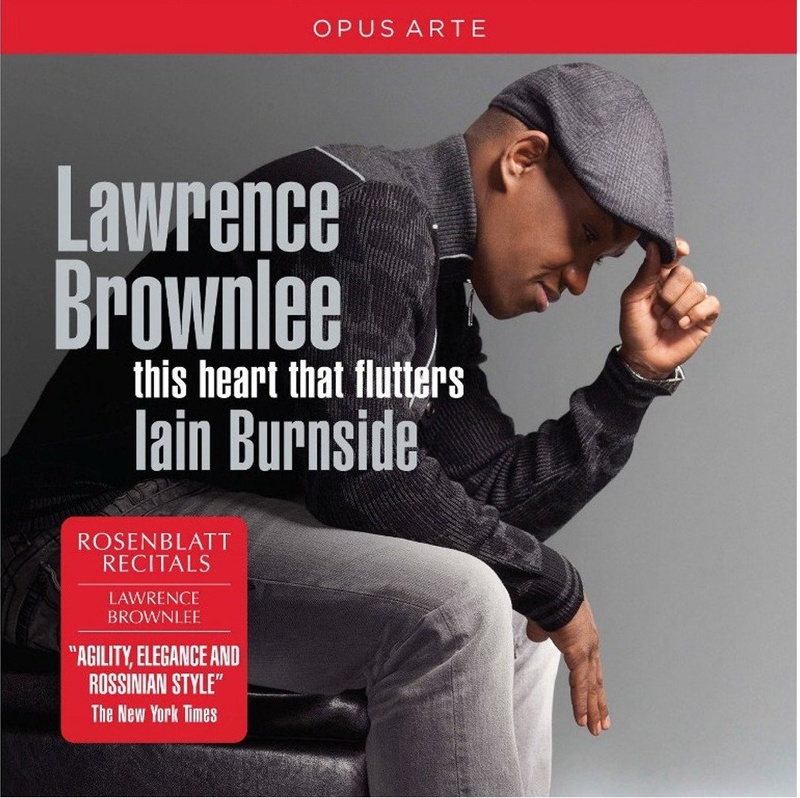 This recital disc from American tenor Lawrence Brownlee and pianist Iain Burnside, is from the first batch of discs in the new collaboration between Rosenblatt Recitals and Opus Arte. 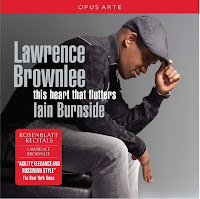 The disc mixes items from Brownlee's two Rosenblatt Recitals (May 2010 at St John's Smith Square and September 2012 at Wigmore Hall) with items recorded in the studio. The result is an attractively eclectic mix including Spirituals, arias from Rossini's Il Turco in Italia and Donizetti's La Fille du Regiment, songs by Henri Duparc and Ben Moore and Alberto Ginastera's Cinco canciones populares argentinas, but is perhaps notable for the live recording of Franz Liszt's Three Petrarch Sonnets. These have been rather absent from the catalogue in their proper tenor version and it is pleasing to have a newly recommendable version. 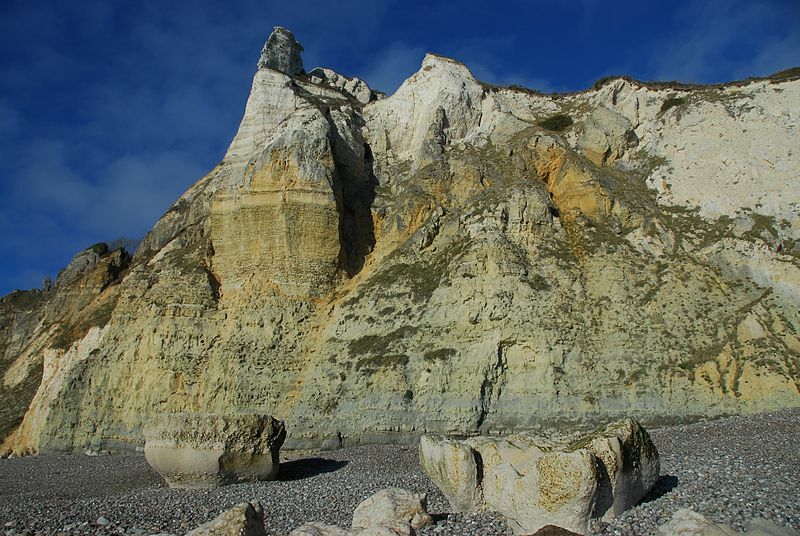 Ian Rosenblatt, founder of Rosenblatt Recitals, is starting a festival in Devon which aims to provide the Rosenblatt experience in a seaside setting, in Branscombe in Devon. Sounds delightful. This year's festival runs from 26 to 28 July and is curated by Iain Burnside. It includes soprano Ailyn Perez and tenor Stephen Costello (who happens to be her husband) with Iain Burnside, plus the Carducci Quartet, cellist Philip Higham in a programme of solo Bach and Britten, late night jazz and a beach front concert. What more could one want? (Good weather perhaps!). Further details from the Rosenblatt Recitals website. This year's Winchester Chamber Music Festival takes place from 25 to 28 April 2013, with concerts taking place at the Discovery Centre and at St. Lawrence's Church in Winchester. The festival was founded in 2008 and is organised by the London Bridge Ensemble - Daniel Tong (piano), Laura Samuel (violin), Tom Dunn (viola), Kate Gould (cello). (Tong and Gould are the festival's artistic directors). This year the ensemble are joined by guests Esther Hoppe (violin), Krusztof Chorzelski (viola/violin) and Richard Lester (cello). The programme has a thread of Shostakovich running through it with the Piano Quintet in G minor, Sonata for Cello and Piano in D minor and Piano Trio in E minor, plus an open rehearsal of the quintet. Other composers featured included Mozart (including a late night performance of his String Quintet in G minor, K516), Haydn, Debussy, Ravel and Borodin. The festival concludes with a performance of Tchaikovsky's Souvenirs de Florence. Michel van der Aa is a young Dutch composer and film-maker whose stage works mix live action and film. His music-theatre piece After Life (based on the Hirokazu Koreeda film Wonderful Life), used filmed interviews integrated into the live action. 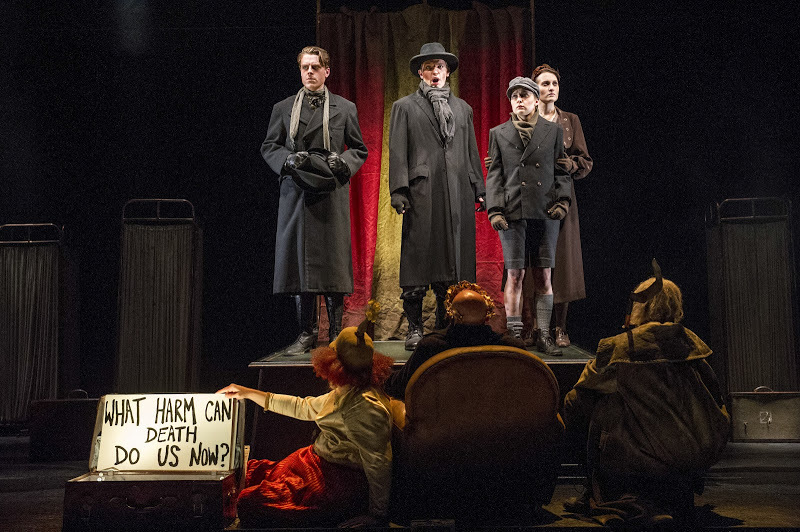 His latest music theatre work, Sunken Garden, (described as a film opera), is a co-commission between ENO and the Barbican, Luminato Festival and the Opera National de Lyon, with the co-production also travelling to the Holland Festival. 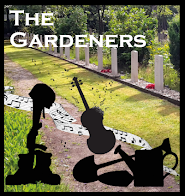 Sunken Garden, van der Aa's fourth music-theatre work, is the first on which he has worked with a collaborator. The novelist David Mitchell wrote the libretto. Mitchell is the author of the best selling novel Cloud Atlas, but also wrote the libretto for Klaas de Vries' opera Wake performed by Dutch National Reisopera in 2010. 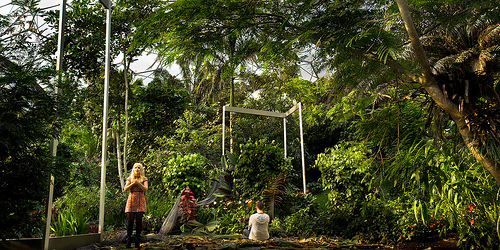 Sunken Garden was premiered by ENO at the Barbican in a production designed by Theun Mosk and directed by the composer, with film sequences (including those using 3 D film) also directed by the composer. The singing cast consisted of Roderick Williams, Katherine Manley and Claron McFadden seen live, plus Jonathan McGovern and Kate Miller-Heidke seen on film. There was also a cast of actors seen on film (Stephen Henry, Harriet Dobby, Alwyne Taylor, Joanna Bond, Caroline Jay and Yiftach Mizrahi). Andre de Ridder conducted. We caught the much anticipated premiere on 12 April 2013. 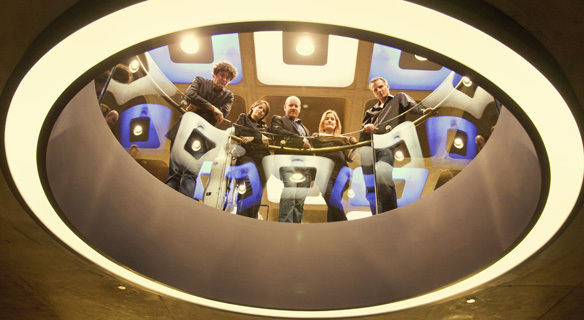 Richard Mosley-Evans, Katie Bray, Paula Sides, Robert Winslade Anderson. English Touring Opera // Bach, Christ lag in Todesbanden. The Royal Philharmonic Society Music Awards, presented for outstanding achievement in 2012, announced this year's shortlist yesterday. The winners will be announced at a ceremony on 14 May 2012 at London's Dorchester Hotel with RPS Gold Medallist Dame Janet Baker presenting the winners trophies. This years RPS Music Awards are being presented as part of RPS200 celebrating the society's 200th birthday. The list of nominees reflects the amazing breadth of British musical life last year with nods to the Royal Opera House's Ring Cycle and Trojans, as well as ENO, ETO, Aldeburgh and Birmingham Opera Company. Contemporary opera features quite heavily, as does contemporary music in general. The list is so strong, that you rather feel sorry for the judges having to choose. And we'll have to wait until 14 May to find out. 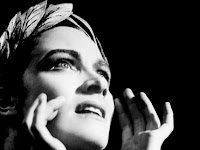 On Friday 26 April 2013, the final of the 2013 Kathleen Ferrier Awards takes place at the Wigmore Hall, with the semi final being held on Tuesday 23 April. The Kathleen Ferrier Memorial Scholarship Fund was founded in 1953 in memory of the contralto who died at the age of 41. The first awards took place in 1956 and this year's competition will be the 58th. Recent winners have included Natalya Romaniw (2012), Kitty Whately (2011), Njabulo Madlala (2010), Sarah-Jane Brandon (2009), Ben Johnson (2008) and Katherine Broderick (2007). The list of semi-finalists, who take part in the semi-finals on 23 April, includes Louise Alder, Johnny Herford, Ashley Riches and Anna Starushkevych. Veronique Gens does not make that many appearances in the UK so it was a particular pleasure to encounter her recital of French song as part of Temple Music's Temple Song 2013. Her recital, with Julius Drake at the piano, in Middle Temple Hall on Thursday 12 April including eight songs by Henri Duparc (nearly half of his surviving output, plus two of Claude Debussy's earliest songs, four by Charles Gounod and concluded with a group of songs by Francis Poulenc including Banalites. Inner Temple Hall with its relatively intimate atmosphere and warm acoustic was the perfect setting to encounter an artist as communicative as Gens. It is always a particular delight to hear French song performed by Francophone artists, and throughout the recital you were aware of Gens making the words, the poetry, as important as the music, without ever compromising the musical line. Highly communicative, you almost did not need the words. The description stylish, civilised, elegant, expressive, infinitely fascinating and mysterious could well apply both to the French song repertoire and to Gens as a performer. I have to confess that when this disc dropped through my letter-box I did not immediately think, Oh goodie, Mozart piano concertos. Yes, I was interested in Alessio Bax, the young Italian born, USA based pianist and the Southbank Sinfonia under their conductor Simon Over. But Mozart piano concertos? I heard quite a number in the 1980's when I attended the concert series given by the Halle in Manchester and then by the Scottish National Orchestra in Edinburgh, where the concertos were something of a staple in the concert programmes. Whilst I have come to love many aspects of Mozart's music, his piano concertos are still something of a puzzle, and this review is by way of an exploration. In 1749 an English engineer called John Grundy visited Charles Jennens' house, Gopsall Hall in Leicestershire. The new Palladian house was in the process of being built and Grundy provided a design for the grounds (never actually executed). In 1750 Grundy returned, to be entertained at the house. In his travel diary he describes the interior, with the particularly grand music room complete with stucco ceiling and carved marble fireplace. Luckily for us Grundy was inquisitive about things (as engineers might be expected to be). He describes Jennens' grand mahogany music desk, which had music stands (and associated candles) enabling 14 players to play at once. He also talks about the two keyboard instruments, a harpsichord and another made by a Venetian maker in which the strings were hit by small hammers covered with leather, making the tone softer and more melodious than a harpsichord, and with further small hammers to dampen the strings. Grundy had no idea what the instrument was called, but he gives us a very clear description. 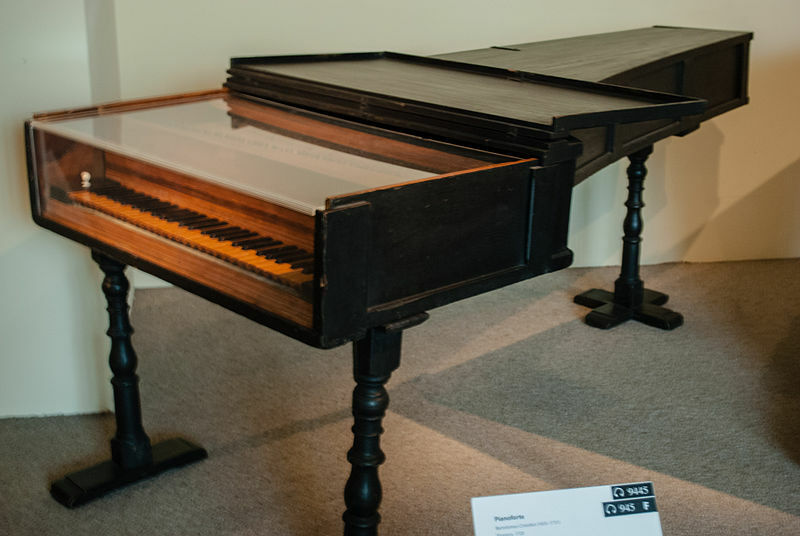 This was the first piano to appear in England. Graham Johnson has been awarded the 2013 Wigmore Hall medal 'in recognition of his unstinting championing of Song and his extraordinary achievements on the concert platform and in the recording studio'. 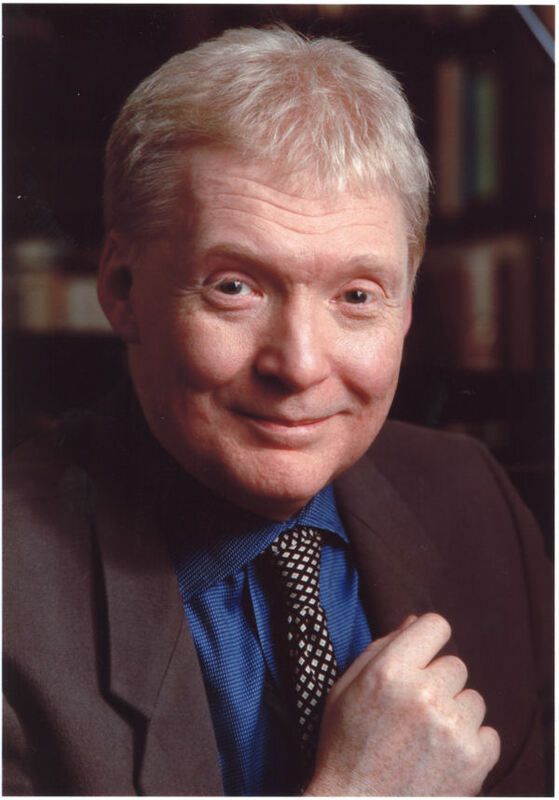 The medal will be presented by John Gilhooly, the Director of the Hall, to Johnson during his concert on Saturday 13 April 2013 at the Wigmore Hall. The concert celebrates the launch of Graham’s three-volume encyclopaedia Franz Schubert: The Complete Songs, (published by Yale University Press). The concert features Schubert's settings of the British poets Colley Cibber, Abraham Cowley, 'Ossian' (James Macpherson), William Shakespeare and Walter Scott (including a complete performance of Seven Songs from Walter Scott’s Lady of the Lake), as well as songs particularly associated with memories of the book’s dedicatees. The performers include Ailish Tynan, Sarah Connolly, Mark Padmore, Ben Johnson, Robin Tritschler and Christopher Maltman. The City of London Sinfonia's CLoSer events are intended to present music in a different, more casual environment to the usual concert hall. They are part of a wider trend for ensembles to put on what might be called classical music club nights, with the intention of attracting a newer, different audience. 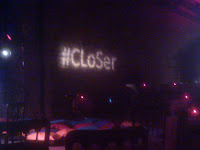 The City of London Sinfonia presents their CLoSer events at the Village Underground in Shoreditch, a converted Victorian warehouse space used for a variety of concerts and club nights. The CLoSer Poulenc and Paris event on 10 April 2013 was also part of the City of London Sinfonia's Poulenc Festival, celebrating the 50th anniversary of the composer's death. Stephen Layton conducted members of the City of London Sinfonia, with baritone Derek Welton and pianist Antoine Francoise, in Poulenc's Trois Mouvements perpetuels, Le bestiare, Rhapsodie negre and Le bal masque, plus Satie's Trois Gymnopedies. Before the concert proper I attended a Q&A with City of London Sinfonia staff and players to talk about their CLoSer events. On Friday 12 April, the music collective Wolf Pack is presenting a 'contemporary music concert for the curious and creative' at the Chisendale Dance Space in East London (Chisendale Road, London E3 5QZ). 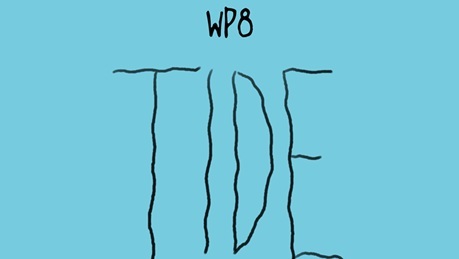 They will be performing a new conceptual concert based on the them of the tide. The performances will include The Waves by the American composer and virtuoso pianist Frederic Rzewski. Also in the programme will be Floodtide by John Eacott, interpretations of songs written by Radiohead and Beach House, recent works by Gareth Churchill and Stephen Goss plus a commission from Daria Lipsinka. The BBC Music Magazine Awards were presented last night (9 April) at a ceremony at Kings Place. 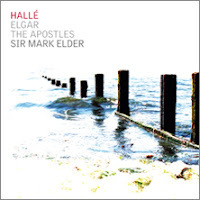 The Halle's live disc of Elgar's The Apostles with Rebecca Evans, Alice Coote, Paul Groves, Jacques Imbrailo, David Kempster and Brindley Sherratt conducted by Mark Elder, scooped both the Recording of the Year and the Choral Awards. The Opera Award went to the Early Opera company for their recording of Handel's Alceste with Lucy Crowe, Benjamin Hulett and Andrew Foster-Williams conducted by Christian Curnyn. Angelika Kirschlager and Julius Drake's second volume of Liszt songs won the vocal award. Other winners included the Berlin Philharmonic and Simon Rattle (Orchestral and DVD), Trio Zimmerman (Chamber). Full details from the BBC Music Magazine Awards website. Having celebrated the 10th anniversary of LSO St Lukes, there is a brace of birthdays coming up at London Symphony Orchestra concerts. On 25 April 2013, John Eliot Gardiner conducts the LSO in a concert which includes Stravinsky's Apollon Musagete and Oedipus Rex with Jennifer Johnston, Stuart Skelton and Gideon Saks, in celebration of Gardiner's 70th birthday. Then on 22 May, Valery Gergiev celebrates his birthday with a concert including Shostakovich's Piano Concerto No. 2, and act five from Berlioz's The Trojans, plus music by Paganini, Ravel and Sarasate with Leonidas Kavakos (violin) and Alexander Toradze (piano). At next week's performances of Britten's The Turn of the Screw (16, 17 April), the conductor will be Richard Farnes replacing Colin Davis who has been ill. The cast includes Andrew Kennedy, Sally Matthews and Catherine Wyn-Rogers. Further information from the LSO website. The Handel House Museum's exhibition on Charles Jennens (see my review) closes on 14 April, but there are lots of other treats in store. Over the next few months concerts in the museum include opportunities to hear music by Handels friends and contemporaries like Telemann and Pepusch, plus explorations of his female muses including Mrs Cibber, Francesca Cuzzoni and Faustina Bordoni, as well as the more exotic castrato. As part of Museums at Night you can see the museum by candlelight, and there are new exhibitions to look forward to, celebrating the history of the building and a single year in Handel's life.. Soprano Juliet Fraser and pianist Mark Knoop are performing a programme of experimental song, Songs without words, at Turner Sims concert hall in Southampton (22 April 2013) and at The Forge in Camden (25 April). The concert includes works by Charles Ives, Mauricio Kagel and Laurence Power, plus a new song-cycle from Matthew Shlomowitz, the London-based Australian composer. He is co-director of the ensemble PlusMinus. The cycle is intriguingly called Songs about words and about the pleasure of misery five songs for soprano and piano. The Kagel pieces include Rrrr… and M.M.51 with Crane's Tour de France Statistics 1903-2003. A few years ago I noticed on the Welsh National Opera website, that the WNO were giving the world premiere of James Macmillan's The Sacrifice in Cardiff on the day of my partner's birthday, so booked tickets as a birthday treat. Now, we generally operate on the basis of sorting out the opera tickets and then booking the accommodation, in this case it was a mistake. The best offer of a room I could get was £900 for the penthouse at one of the big hotels, a bit out of our price range. Widening the search did notgood and finally I Googled the date, only to discover that one of the events in the Rugby World Cup was happening that day. We finally ended up staying in Bristol. Both before and after the opera we found the Cardiff full of hordes of Rugby fans out for a good time. And now, its happened again. In 2004 Bath Camerata under Nigel Perrin premiered Giles Swayne's Stabat Mater, a work which takes the crucifixion story and puts it in a contemporary Palestinian context, so that the grieving Mother of Christ is echoed by the grieving mothers of today. 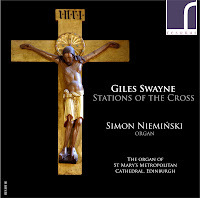 It was this work which was one of the origins of Swayne's organ piece, Stations of the Cross. In the Roman Catholic liturgy the Stations of the Cross are 14 meditations on the crucifixion which are performed regularly in Lent. I have sung in one or two of Swayne's pieces and he has a way of approaching the traditional from a striking new point of view. 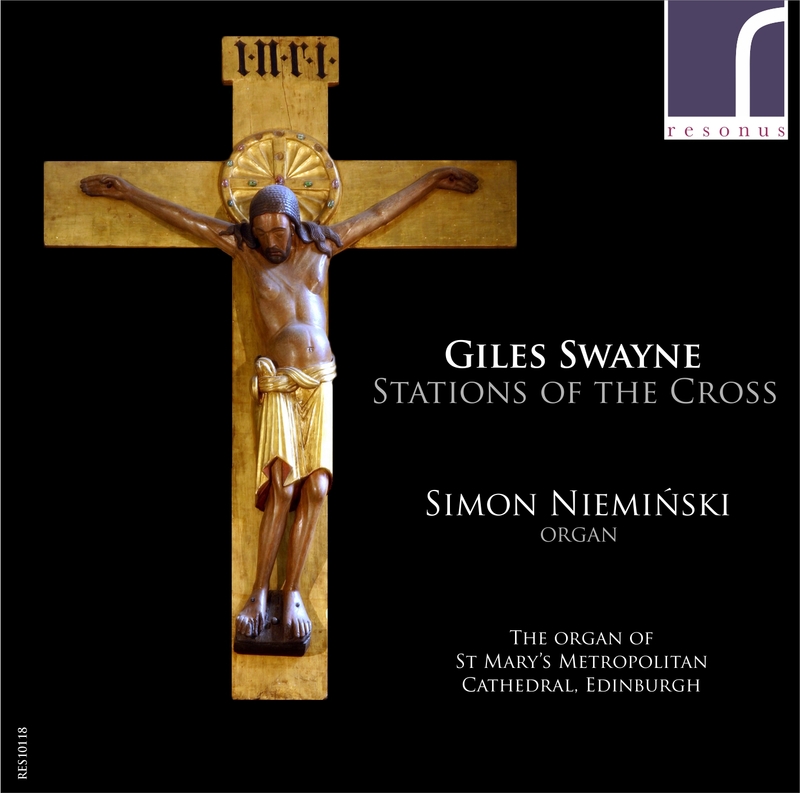 This new recording from Resonus Classics gives us Swayne's dramatic and thoughtful organ piece Stations of the Cross played by Simon Nieminski on the organ of St. Mary's Metropolitan Cathedral (RC), Edinburgh.